This is a detail grab shot from a real Maine wedding. 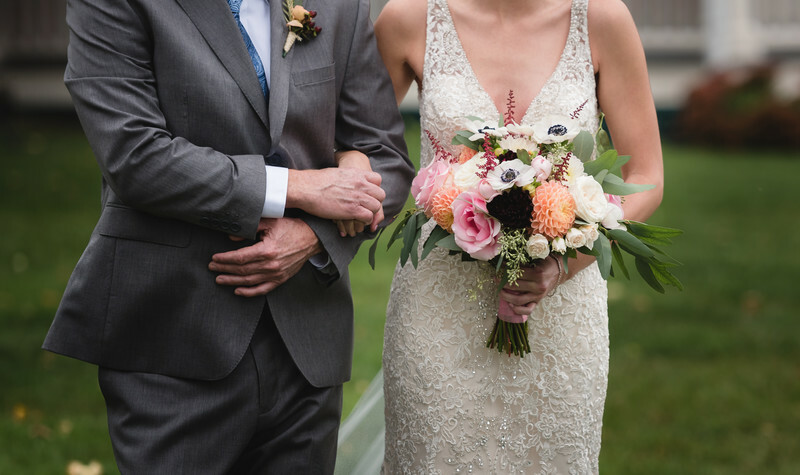 The flowers, dress and connection between the bride and her dad make this image visually appealing. Keywords: Elisha and Sam (30), Joshua Atticks Wedding Photography (249), Lake (30), Vermont Wedding (30).